• You may remember Jason and Freda from their engagement session this summer at Glamorgan Castle. We had such a good time and laughed a lot so I was looking forward to their wedding. • Their wedding may have been the hottest of the year which is ironic since it was in September but that’s what I love about Ohio, crazy weather! The heat index was near 100º and boy it was HOT! • I loved how the family all came together for Freda’s wedding. Her Mom did everyone’s hair. Her cousin did her flowers. Everyone pitched in and helped wherever they could and it was so fun to see work out! 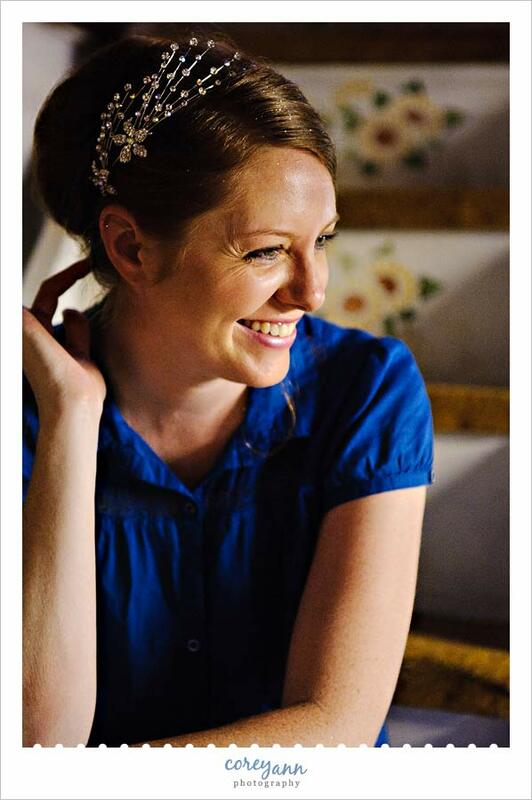 • The wedding was also held at Freda’s parents home in Alliance. So lovely!!! Freda was so relaxed while everyone was finishing up getting ready. 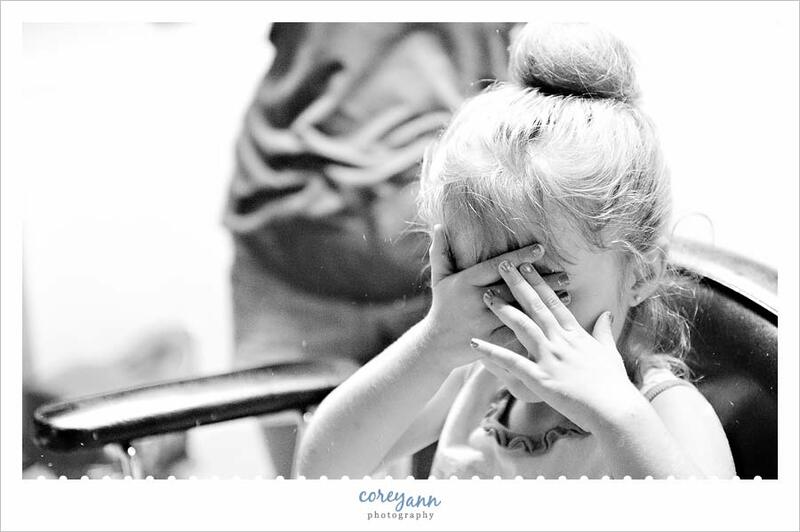 Her flower girl made sure to cover her eyes while getting her hair glittered. While corsets are always a bit tricky, they always lead to fun getting ready images! I loved the way she tossed those petals! The ceremony was short but sweet! Freda also made vows to Jason’s son during the ceremony, so sweet! Their smiles as the processed were so sweet! The light in the corner of Freda’s parents yard was perfect! This apple tree also was pretty fun to play with. The kids had a blast on the swingset in the yard while the adults mingled. First dance was so sweet! The father daughter dance was also lovely but the funny part was that as soon as it was over Freda’s dad went running inside to change! It was a scorcher! I loved the detailing on the side of Freda’s engagement ring! I think I have some competition! One thing I loved about this wedding is that there was a lot of dogs around. Some guests even brought their dogs to enjoy the fun. 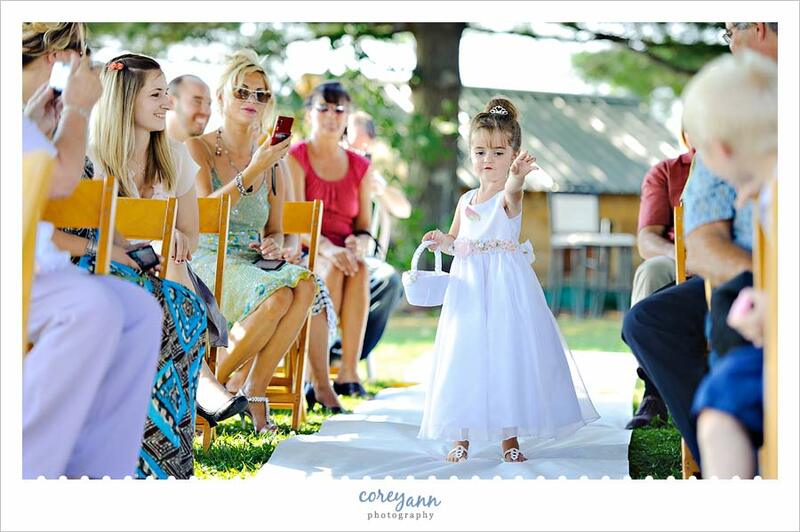 This cutie was the bride’s father’s newest addition to their family and charmed everyone he met. So sweet! After the reception started winding down we went down to this reservoir near Freda’s parents house for a few pictures to end the evening. I loved how they turned out so I’m so glad we went! Thank you both for hiring me, it was a fantastic day!